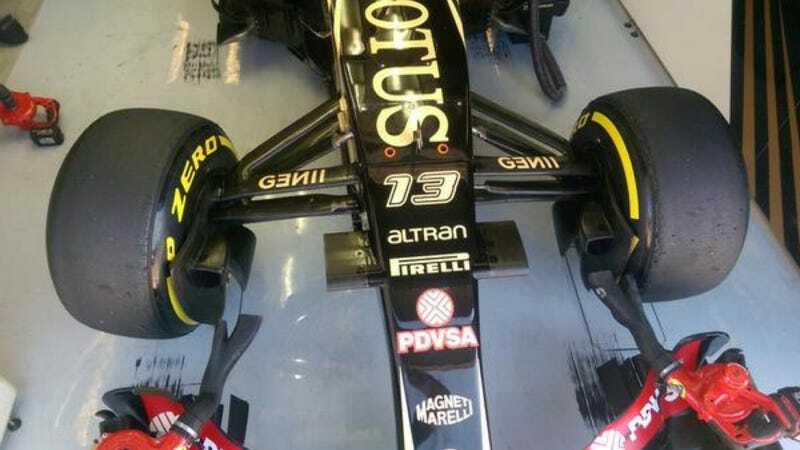 Both Lotus Formula One cars were forced to retire after first lap damage at Monza, but Pastor Maldonado’s car took a slightly more significant hit, despite Did Pastor Maldonado Crash Today? not ruling it as his fault. The last time I had a car with wheels that looked like that, it was a Cozy Coupe. As a conoisseur of fine toys, I’m 100% fine with Formula Cozy Coupe being a thing, however, they probably shouldn’t share track space with F1 cars. Cozy Coupes aren’t exactly known for their handling or speed.